CLOCKS AS AN INVESTMENT. WHAT TO BUY, HOW AND WHY. With more and more people considering antique clocks as an investment, I felt it would be helpful to offer the following advice. Also, we now uniquely grade all of our items of stock from '1' to '10'. This grading will be seen below the price of our items for sale and is based on our vast experience and knowledge of the market also, on how competitively priced some items are. We do not supply figures, simply our opinion on the strength of investment forecast over the next ten years for example, items graded '1' will be considered a moderate or weak investment whilst items graded '10' will be considered to be the strongest possible investment - possibly 100% or more increase in value. It costs less than it would to buy it new today. It actually does something useful, more than any other work of art. It is beautiful to look at and enhances a home. It is usually portable or semi-portable. It gives your home a 'Heartbeat'. It is historic with character and charm. Knowing that the clock will never have to be replaced or thrown away. Owning something you know can be handed down. Knowing that if you were to purchase it later it would cost more. Buying to sell it for a profit at a later date. Putting money into an item of value you have confidence in. I would not advise investing a considerable sum on an antique clock without either guidance or experience, the worst thing to do is to simply 'Jump on the bandwagon'. Research is the key and can teach you a lot but the information that you get will probably be 'after the fact' that is to say, you will be buying what everyone else is trying to buy, this inflates the market because of a high demand and it is easy to get carried away and pay too much also, you will probably be towards the end of the current growth period. 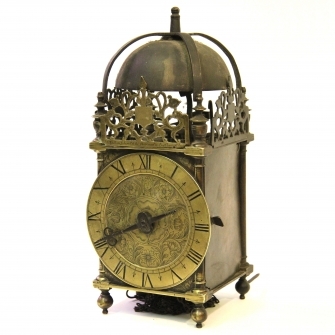 Rather than 'What to buy', your research should give you an understanding and teach you about the rarity, quality, availability, historical and Horological importance of certain clocks, certain makers and the practicalities of certain items. This alone will take considerable time and effort but the knack to any successful investment is judging the market. I for instance, can judge the market more accurately than most because I can see a trend or shortage of certain clocks before the popularity therefore, I can advise people of various Horological situations in the current market. If you just want to invest soundly in a clock that you don't ever intend selling then you should simply buy what you like and will enjoy, pay what you feel is a fair price but most importantly be confident that the clock is genuine and in a condition that is acceptable to you; if you want the clock to work properly, with a guarantee and the dealer has told you that it has been professionally and correctly overhauled by a Clockmaker then don't just accept his word for it, ask for proof or a written guarantee. The condition can also be researched easily by you and common sense applies here as with everything else - if the movement looks dirty then IT IS DIRTY and has not been overhauled professionally! If you are happy to accept a clock without this guarantee then that is fine but a word of warning, skilled clock work can sometimes cost more than the financial value of the clock. 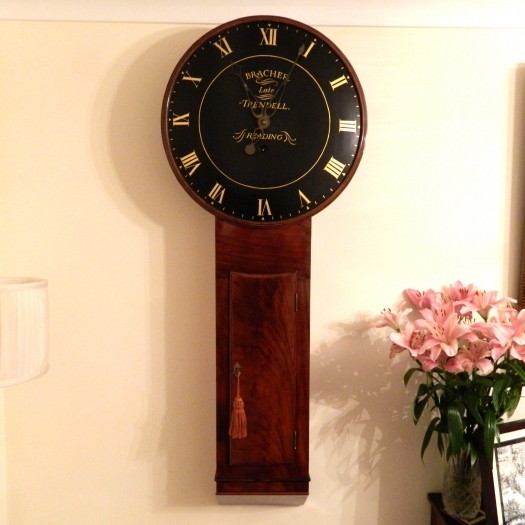 If you are buying an antique clock because it fits in well with the surroundings or you simply like it then that is fine and it may in time turn out to be a good investment however, if your aim is to invest a considerable amount in an antique clock then the rule of thumb is to buy the best example that you can afford. Mass-produced or poor quality clocks can either go up or down in value as they are affected by fashion and trend. It is invariably always the case that fine, high quality, rare, early and clocks made by sought after or famous makers are the best investment. Poor quality and mass-produced antique clocks can now be bought for less than they could twenty years ago because of the current economic downturn however, this is not the case when it comes to the finer, better and rarer clocks - these are still rising in value. 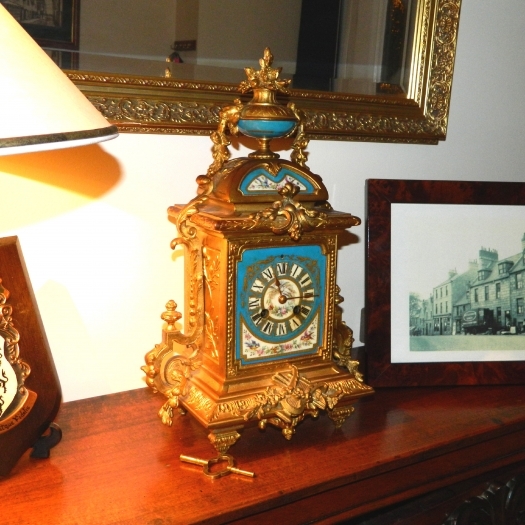 Sometimes it will take years for your investment in these clocks to grow if you buy it from an expensive dealer but sometimes, if you are guided and buy 'right' you could see a healthy return on your investment almost immediately. Whichever of these though, the clock you buy can function practically and give you immense pleasure whilst it is in your possession. I constantly harp on about one thing when buying antique clocks and that is 'originality'. The condition is less important than such things as the dial being the original to the movement and the movement being original to the case. I still often see 'marriages' whereby these parts have been changed in an effort to deceive. Quite often it is not easy to spot these changes and on very valuable or rare clocks I will dismantle them right down to investigate whether or not this has happened. Sadly, the practice is still occurring as it becomes evident that certain work is fresh. I am asked to authenticate a lot of clocks and the biggest proportion of them are incorrect. Having said that, if a Verge escapement has been changed for an Anchor escapement then this is usually acceptable because it can always be reconverted back however, if original winding holes on a dial have been filled allowing for new ones in a different place then you can forget all about buying that clock for investment - unless you intend to carry on the deception! Wherever you buy a clock you must have complete confidence in the person you are buying it from, I will always advocate buying from a qualified Clockmaker or Restorer because it is unlikely that he will be selling the clock for as much as possible whilst spending the least amount on restoration, his personal pride should compel him to put his heart and soul into necessary work irrespective of the cost. Make sure you do your homework, many people sell clocks with the understanding that they should be conserved rather than restored which, if you just want to look at it as an ornament is ok however, the usual reason for the conservation attitude is because the seller cannot or does not have anyone with the necessary skills to carry out the work correctly. This does not mean that you should be looking for a clock that appears to be brand new with a totally repainted dial and stripped and re-polished case, this can actually kill a lot of the value and desirability of a good clock so is sometimes better not carried out however, generally speaking the movement must be done because this will actually help to conserve the movement because it is in the required condition to operate correctly. If you buy a clock from an auction you may be lucky and obtain a good original piece for a good price however, do not be disappointed if you find out later that your purchase does not turn out to be what you thought it was in either condition, authenticity or price. I view many clocks at auctions and do purchase from them but I always examine them in great detail and assess restoration costs. I am often astounded at the prices realised for clocks that I have dismissed as unsuitable. The amount that you spend on a clock is up to you, spend as much as you can afford and buy the best quality that you can afford. The prices vary wildly and a dealer will have to charge far more than a person who restores and also sells clocks. In our case, we earn our living from our busy workshop so sales are less important in fact, trying to replace a sold item can be problematic especially if it is a good example. Sometimes clocks appear to be relatively inexpensive - there is usually a very good reason for this which becomes apparent upon close inspection. Almost everyone selling clocks has an idea of what they are worth and they have to be competitive when buying their stock, if they then sell their stock for a lot less than the average market value there has to be a reason for this. In my experience, if there is a bargain to be had, the chances are that a dealer will always beat you to it! 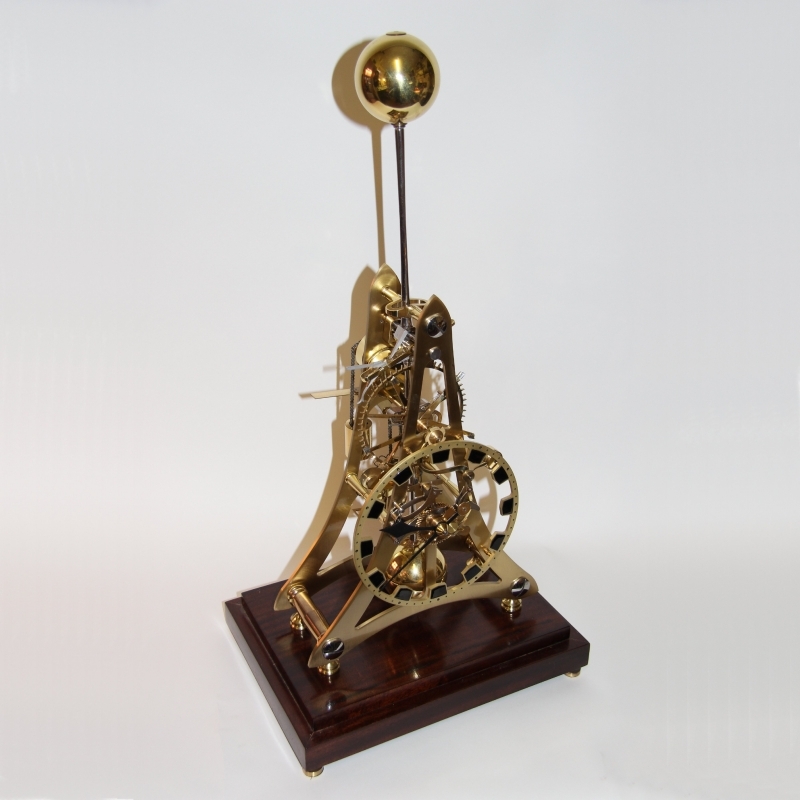 I hope that you have found the above interesting and helpful and I will end by saying we find and supply a lot of good clocks to people for investment and we explain in depth why a certain clock is rare, original or in excellent condition etc. We also explain what is missing or broken and can make or restore these parts. Our customers seem very pleased with the service that we give them and we find this truly satisfying. If you would like a chat or have any enquiries then please don't hesitate to contact us. *Currently, it is wise to invest in early or good English Chamber (lantern) clocks, 18th century English Bracket clocks, any 17th century original English clocks and clocks made by famous or noted makers; these are becoming very rare at affordable prices as obviously they are more finite than other clocks and can be compared to good paintings by famous or well-known past artists, the demand for these is strong and they have a very strong potential investment growth.